In August 2012, mineworkers in one of South Africa’s biggest platinum mines began a wildcat strike for better wages. Six days later, the police used live ammunition to brutally suppress the strike, killing 34 and injuring many more. 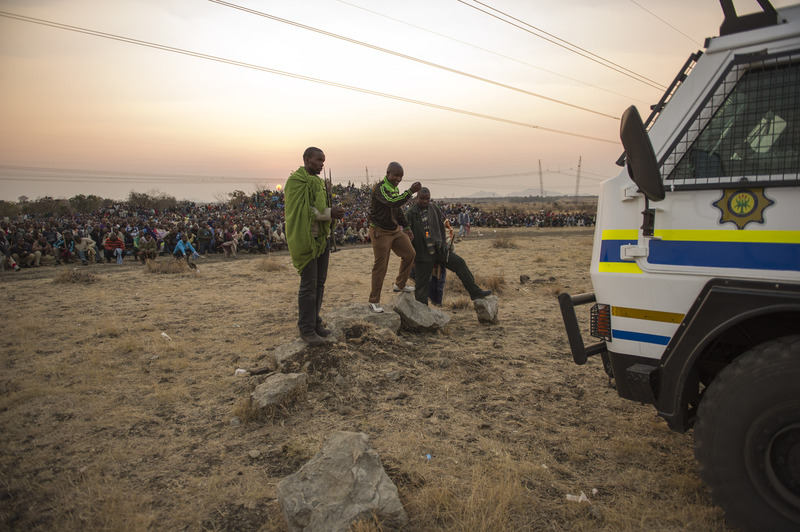 Using the point of view of the Marikana miners, Miners Shot Down follows the strike from the begining, showing the courageous but isolated fight waged by a group of underpaid workers against the combined forces of the mining company, Lonmin, the ANC government and their allies in the National Union of Mineworkers. What emerges is collusion at the top, spiraling violence, and the country’s first post-apartheid massacre. South Africa will never be the same again. Rehad Desai completed a history degree at the University of Zimbabwe, where he lived for three years. In 1996 Rehad entered the television and film industry as a Producer/Director and has since focused most of his energy on documentary productions, many of which have received critical acclaim . In 1997 he completed his Masters Degree in Social History at the University of the Witwatersrand. In 2000 he completed a postgraduate degree in television and film producing through AVEA, and in 2009 he completed a course in European Documentary Production through Eurodoc. He currently runs Uhuru Productions, a film and TV company producing documentaries and dramas, and has served as the Festival Director of the Tri Continental Film Festival for the last 10 years, and the Conference Director of the People to People International Documentary Conference.